Plastic, stainless, or leatherette options available for your guest room accommodations. From economical plastic, to luxurious leatherette and stainless steel ice buckets & trays; True North Hospitality has what you are looking for. Available in square or round design. Companion Lids & Liners available for both styles. Available colours: white, black, beige and vanilla. Guestroom Trays are designed to coordinate with all ice buckets. Available in 10” x 12-1/2” rectangular and 12” round sizes. These trays help protect in-room furnishings from scratches and are impervious to fruit juices and colas. Made of tough impact-resistant styrene, room trays are a durable and attractive addition to guest room decor. Easy to maintain - simply wipe clean with a damp cloth. Fits 3qt. 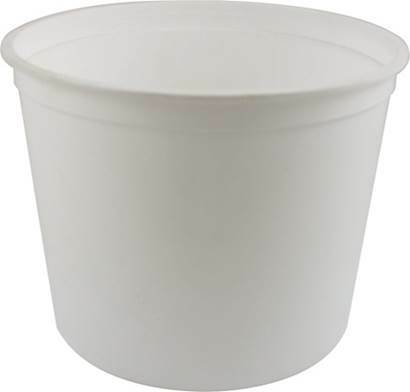 square ice buckets.